1. 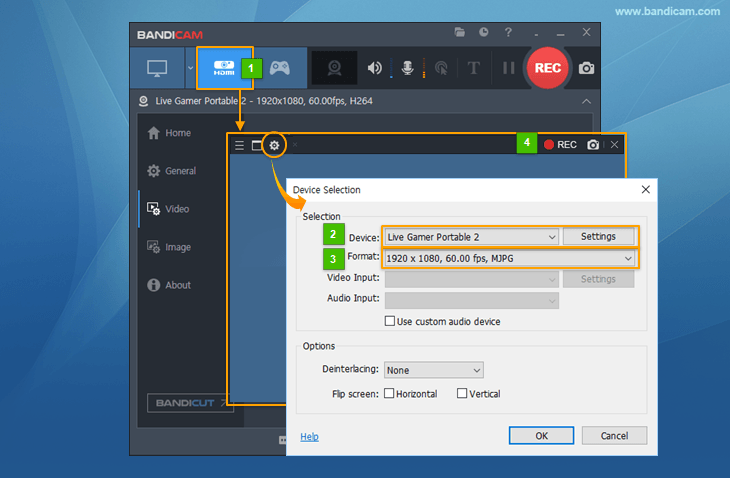 Bandicam now supports the Deinterlacing feature in Device Recording Mode. 2. The device format information is displayed in Device Recording Mode. - The webcam/HDMI preview was upside down in Device Recording Mode on some computers. - Bandicam crashed when a specific audio frequency was selected in Device Recording Mode.